They are also always updating and refreshing what they do - which I equally love - in the form of delicious limited edition scents and gifting ideas, and now their newest imagery has been revealed alongside two new scents and damn, she is gorgeous. 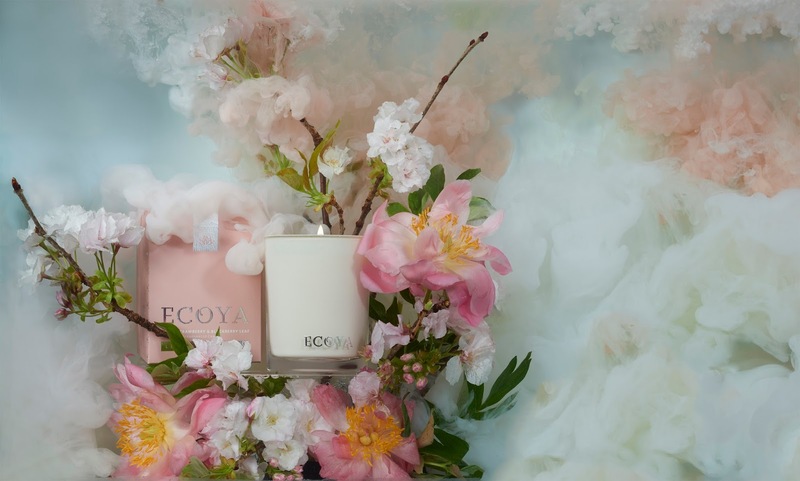 ECOYA, who now sell a product around the world something like every 45 seconds, worked with emerging artist, florist and photographer - and all round clever woman - Georgie Malyon to create their latest imagery, some of which is pictured above. The occasion was the creation of a campaign to accompany the latest ECOYA winter Limited Edition fragrances, Sweet Strawberry & Blackberry Leaf and Crisp Aqua & Tiare Flower. ECOYA worked with Georgie (whose artwork can also be found on my bedroom wall!) in a truly collaborative fashion, allowing her to direct the shoot from the blooms up. A florist for over 10 years, she created the botanical installations pictured here in the totally unique, signature style that fans of her work will recognise immediately. The installation was actually built and photographed underwater using original paint techniques, with the floral inspiration taken from the fragrance notes of each Limited Edition scent. The end results illustrate magical moments captured underwater, depicting the fragrance throw of the candles enveloping the space. Sweet Strawberry & Blackberry Leaf - Sweet strawberry, red apple and blackberry leaf combined with sugared violets, peony petals and pink jasmine atop a creamy vanilla bean and sandalwood base. Crisp Aqua & Tiare Flower - A fresh, tropical fragrance with top notes of mango, guava and coconut, blended with crisp aqua and strong white floral notes rounded out with powdery and oriental undertones of cream and tonka bean. The winter Limited Edition fragrances are available from mid-February at ECOYA.com and from department stores and boutiques nationwide. In hugely exciting news for the brand and for beauty freaks everywhere, YSL Beauté has appointed renowned French-born make-up artist Tom Pecheux as its new global beauty director. The former creative director for Estée Lauder and Shiseido makeup began his new role at the L’Oréal-owned brand on the first day of this year, succeeding the also-extremely talented Lloyd Simmons, who left some pretty big shoes to fill. I am confident however, that with a stellar career in the industry spanning three decades or more, Pecheux is more than up for the job! In his new role, Pecheux will help develop new products and create makeup looks for YSL Beauté’s legendary campaigns, as well as serving as an ambassador for the brand. Pecheux, who created the runway makeup for the debut of new Saint Laurent creative director Anthony Vaccarello in September, will also continue to create beauty looks for the brand’s shows – a fashion-meets-beauty collaboration made in heaven. I, for one, cannot wait to see what Pecheaux creates with what is definitely one of my favourite beauty brands. Its reinvention several years ago was the stuff that makeup dreams are made of, so here’s to more of that as interpreted by a superbly talented, fresh eye! Tomorrow, Thursday 26th January 2017 will see Kiehl’s open the doors to its Pure Vitality Pop up hub in Auckland’s Britomart from 11am – 2pm, the perfect place to explore their latest skincare innovation. The product of the moment is the legendary brand’s new Pure Vitality Skin Renewing Cream (RRP $98.00), which I was lucky enough to have an introduction to over lunch at Greenleaf Organics last week. While interest in natural products has increased steadily amongst skincare users of all ages, research by Kiehl’s has found that consumers still feel they are compromising efficacy when using natural skincare solutions. I can’t say this is true for all natural skincare ranges but for many, it sadly is. And we shouldn’t have to compromise, right? 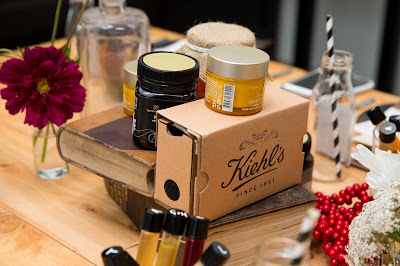 In answer to this, Kiehl’s hardworking chemists hit the lab and created Pure Vitality Skin Renewing Cream, a 99.6 per cent naturally derived formula that is the first of its kind to leverage the combined efficacy of two world-renowned wellness ingredients – New Zealand-sourced Manuka Honey and Korean Red Ginseng Root. The Manuka Honey used in Pure Vitality is sourced from a, New Zealand-based, Maori owned company called Watson and Son, who are one of the biggest producers of Manuka Honey in the world. So how does it work? Well, while cocooning the skin in a comforting, creamy texture, the breakthrough moisturiser also helps skin resist hydration loss while also adding in recovery from existing skin damage. That is one hell of a multi-pronged approach to dehydrated skin, and I for one give it two thumbs up. But back to the Pure Vitality Hub at Britomart, which is where you too get to have a play with this clever and exciting new release. The pop up hub has been designed to provide a “visually stimulating interpretation” of the new product, including a giant green mound of New Zealand hills and a giant honey dipper! If it looks anywhere near as gorgeous as Greenleaf Organics did after the Kiehl's team visited then you are DEFINITELY in for a surprise. You can stop by to take some time out on their bean bags, whilst local eatery Whites & Co’s will be generously supplying visitors with healthy guilt-free treats in the form of bespoke, freshly made frozen yoghurts created using honey with the sensational toppings. There is also a huge giveaway for one lucky person who will win $1,000 worth of Kiehl’s products as a part of the #PureVitality Hub. Customers can enter by uploading a photo of themselves or their friends at the site, or the hub design to Instagram using the hashtags #Kiehlsnz and #PureVitality - and by tagging the Kiehl’s NZ Instagram page @Kiehlsnz. The Kiehl’s Pure Vitality Hub will be located at Takutai Square in Britomart from 11am – 2pm tomorrow, and the weather is meant to be beautiful – what are you waiting for? Although mostly known for its cool girl make up names, the UK beauty industry has also given us some great skincare, hair and bodycare names that are delightfully no nonsense - and work. The latest to hit New Zealand is the Katherine Daniels Cosmetics range, which comes with the tagline: “beautifully British concepts”. Developed by sisters Kirsti Shuba and Donna Tait, the Katherine Daniels range encompasses what they call “the best of British skincare”, and can be found in salons throughout the UK and now, also in New Zealand. Having over 60 years of beauty therapy experience between them, the sisters were inspired to create a range of products that could proudly be stocked in leading salons and that work for the most common skin types and conditions. 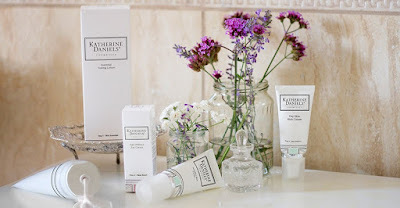 The sisters wanted to de-mystify the skin, so when they created the Katherine Daniels range they ensured that the results would be outstanding without complicated products, too many serums for this and that and generally confusing, off-putting regimes. All of the products in their collection are results-driven, and they use active ingredients extracted from plant, marine, collagen and biotechnology sources to achieve them. The product from the range that I’ve been having a good play with over the summer holidays is the Nourishing Hydrating Balm (RRP $65.00), which is a skin soothing treat for the body that has been just the thing for sun and sea-parched skin. Its rich, buttery texture is a right treat to apply, and it absorbs reasonably fast even in our humid temperatures. As well as having an immediate, almost plumping effect, it has also been designed to actually prevent further skin dehydration due to a powerful ingredient called Brown Seaweed Osmolyte. It’s an ingredient that can be found in a few of their products so clearly the Katherine Daniels team believe in it, and from my experience thus far it most definitely works. Also in the formula are more commonly known skin nourishers shea butter and Vitamin E, and it has a delicate fragrance that gives application that little extra touch of luxury. Next on my wish list is the brand’s Gentle Oil and Salt Exfoliator (RRP $65.00), which combines a mixture of sea salts from the Himalayas, Egypt and France and pairs them with essential oils to provide luxurious hydration along with freshly buffed skin. How great does that sound? Katherine Daniels products are available in New Zealand at selected professional beauty therapists nationwide. To locate your nearest stockist go to www.houseofcamille.co.nz or phone (09) 415 9180. Noble and intoxicating – as well as in store right now – Jo Malone London’s latest Cologne Intense release, Myrrh & Tonka, is one of my favourite fragrances of the past twelve months. Just a few days into 2017 it can safely be called the Fragrance of the Year, and may hold the title for some time yet. I am a huge fan of the Cologne Intense range at any time of year - the slightly warmer and often spicy notes sit well on my skin and in my fragrance wardrobe, and they wear well too. In the summer months I often save them for long, hot evenings, which is when they really come into their own. Compliments? You bet, and often. Unisex and appealing from the get go, the aforementioned new fragrance, Myrrh & Tonka Cologne Intense has been described as “oriental and exquisitely simple in its composition”, both of which get thumbs up from me. Its unusual fragrance pyramid (lavender, myrrh and Tonka bean with vanilla and almond at the base) makes it stand out from the crowd in an unabashedly sensuous way, and it really does perform exceptionally in the Wear Factor test. The fragrance was created by perfumer Mathilde Bijaoul, who says of the new release: “There is an atmosphere of addiction and carnal richness to this fragrance which appeals to both men and women. At the top there is a hint of lavender and a oral note, creating a comforting and voluptuous opening. The big, rich heart and base note of myrrh is sensual. And the tonka brings generosity. It’s captivating and mesmerising.” Saucy! 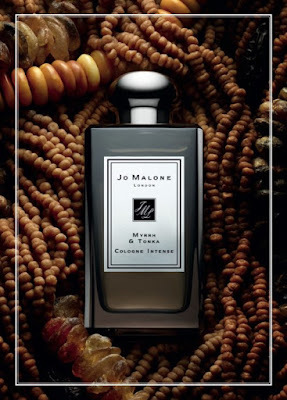 And I wholeheartedly agree, whilst Céline Roux, Jo Malone London’s Fragrance Director adds: “Both the myrrh and the tonka have a decadent and addictive quality that chimes with the concept or rarity and opulence. I felt that the collection was missing a fully warm, sensual and rounded Oriental feel,” and that is what this new beauty delivers. Jo Malone London Myrrh & Tonka Cologne Intense is in store now, RRP NZD$280 for 100ml of sheer gorgeousness. Hand’s up if you’ve been using the same eye shadow, mascara and lipstick selection for over five years’ now, with no intention of giving any of them up? Well you’re not alone, but the powers of a makeup makeover can be truly transformational. A makeover of any sort can be scary, but if you go to the right professional with the right intentions, you can leave with a freshened up look that is still all your own, and maybe an arsenal of new makeup revelations that will make life easier. For free, or a fee of around $30-$80 redeemable on purchase, you can get a skin analysis or makeover session at counters all over the country to make sure you're spending your money on the right products or to give you an insight into what else is available. It's best to book a time in advance at department stores or larger pharmacies, but often, if the counter isn't busy they will be able to fit you in on the spot. It helps to say what you want to achieve from your session so the consultants know where to concentrate their efforts. If you want a better blusher, a decent foundation for your skin type or age, or to learn how to put on eye makeup, don't just book in for a general makeover, be specific. It's also a good idea to note down any product recommendations: some great counters will send you home with all of the details of what will work for you now, and what you can pick up later when you’re in the mood for a splurge. Most consultants will happily complete a makeup colour/face chart (see a M.A.C one, below) for you and you can refer back to it, including checking if you have something similar at home. If you love a product, it makes sense to buy it. But don’t feel pressured to spend more than you can afford. Clarins is a great brand for both skincare and makeup, and its counters usually have a designated beauty room and a counter manager who’s trained in giving facials and makeovers. They’ll show you how to make your skin glow, how to make the most of your eye shape and more. There’s no charge for these regular services, but there’s a booking fee that varies depending on the time of year that is redeemable on purchases. M.A.C has highly trained artists on hand at their counters and stores to show you the best way to use their products. If you want anything from an express makeup to an hour-and-a-half-long makeup lesson showing you how to achieve different looks you will have to pay, but this is redeemable on product purchase. M.A.C stores are also happy to arrange group lessons after hours as well, which can make for a great start to a night out. Bobbi Brown has always been a makeup brand associated with real life, unabashedly pretty looks, so it’s no surprise that one of their most popular services is the very handy Makeup Bag Makeover. An audit of what you’re wearing right now (and possibly shouldn’t be), the 45-minute session is the perfect way to kick off the new season and begins with a thorough examination of what’s in your bag and the order in which you apply each and every product. Well worth the time - and complimentary if you book in earlier in the week or during off-peak times - the Makeup Bag Makeover definitely comes highly recommended, and is the perfect excuse to treat yourself to some new essentials. Lastly, getting stuck in a rut is also bad for your health. Hanging on to old water-based products - such as mascara- in particular risks bacterial contamination, which can lead to infection. How you handle your makeup in general can affect its shelf life too. Keep your cosmetics germ-free by washing your hands before applying, not sharing makeup, not adding water or saliva to dilute makeup and keeping cosmetics in a dry area, away from direct heat or sunlight. Spending major cash constantly buying new foundation/BB Cream/tinted moisturiser to match your rapidly tanning bod now the sun is here? Or love a faux glow but not tanning your face? Well you needn’t: meet Clinique's Sun-Kissed Face Gelée Complexion Multitasker, one of my absolute standout beauty picks of the last few months. One of Clinique’s most exciting launches of the past year IMHO, Sun-Kissed Face Gelée Complexion Multitasker is essentially a tube of tinted gel that can be added to your foundation/BB cream et al to give it a sun-kissed bronze effect. It takes a little (but not too much) experimentation to master the application, but once you do, it offers a great, cost-saving way to give your complexion a splash of bronze-y colour without the powdery look so common to many traditional bronzers. Housed in a no-mess tube, the formula itself is a deep brown colour that's not orange or shimmery in the slightest, which gets a big tick from me. For first time users it's so dark that it looks a bit scary at first glance (especially for those with lighter skin tones), but once you’ve warmed it up in your palms you'll find the translucent colour sheers out as you blend it into your foundation or whatever. Play with how much you need to get your desired level of bronze, and definitely go easy at first if you’re on the lighter side. It is a multitasker though, so can also use it alone in the areas where you would normally apply bronzer. Success came after a little trial and error for me when I used the Gelée this way, and it’s important to remember that a little definitely goes a long way. The matte finish dries quickly too, so make sure you get your blend on sooner rather than later. And as per Clinique's instructions, wash your hands immediately after you use this puppy to avoid staining. In conclusion, I love so much about this product, and not just because it saves you splurging on multiple foundation shades. It is fragrance free so workable for all skin types as claimed, even those sensitive types often deterred by added fragrance that can compromise their skin. It’s a great way to give your complexion a bronzed goddess boost, and with practice I found it as effortless to use as a traditional powder bronzer. 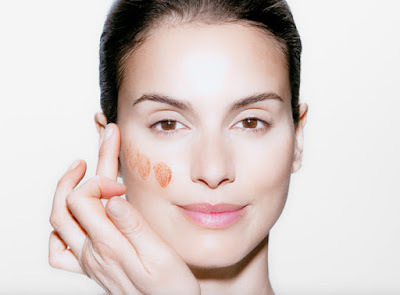 Clinique Sun-Kissed Face Gelée Complexion Multitasker is in store now for - a very reasonable given its powers – NZD$49.00. When a natural skincare brand gets major props on the notoriously thorough – and tough! - Paula’s Choice Beautypedia website, you know it’s gotta be good. Welcome to the world of Drunk Elephant, a brand recently arrived in New Zealand at Mecca Cosmetica and Mecca Maxima that I am totally in love with. Based out of Los Angeles, California, Drunk Elephant was founded back in 2012 by former skincare executive Tiffany Masterson. As their website describes, Masterson developed the brand out of a desire to create “natural-themed formulas” that were truly effective and high performance. From the get-go Masterson was emphatic that they leave out that which wasn’t effective – primarily added fragrance. The inclusion of a plethora of exotic fragrances is where many natural-themed brands seem to go wrong, leaving many potential customers with major irritation to their already-sensitive skin. Fragrance, be it from essential oils or synthetics, has even been found to cause damage in some skin types. Happily, Drunk Elephant are one step ahead with their innovative, fragrance-free products. As for the brand’s super cute name, it actually makes reference to anecdotes about African elephants, beautiful, big beasts who love to snack on the fermented fruit of the marula tree. It’s an indulgence that leads to well, a little tipsiness, as once eaten, fermentation occurs inside their very large tummies and the elephants become drunk. One only hopes the hangover isn’t as great as their size! The Drunk Elephant line is a small but beautifully curated one, and it makes each product count. All of the clever packaging keeps the ingredients inside protected, and many of the formulas include the aforementioned ingredient Marula oil, which contains an array of beneficial fatty acids, anti-inflammatory agents, and antioxidants. 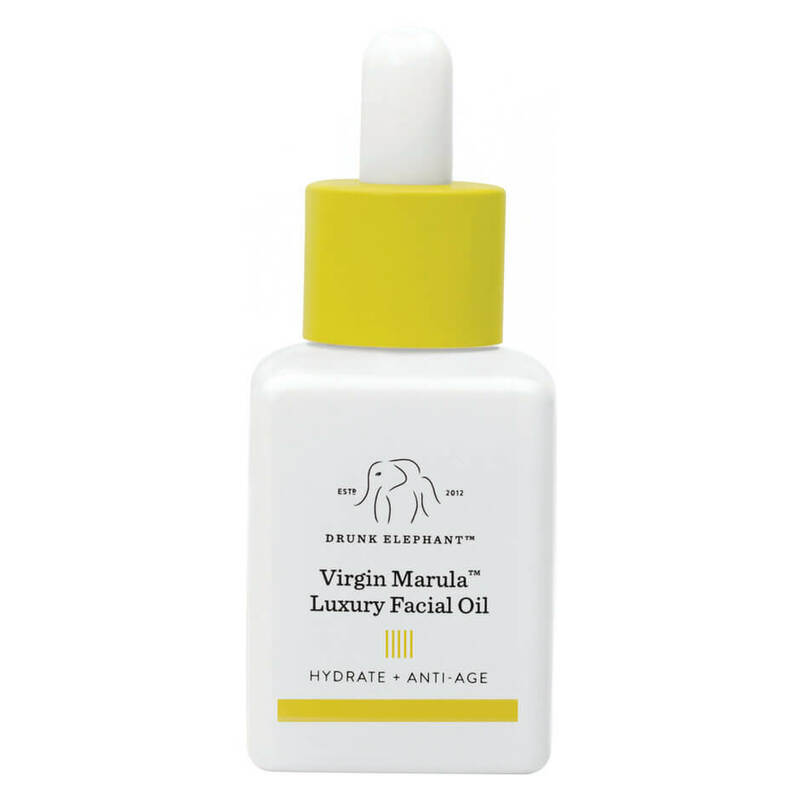 Drunk Elephant's Virgin Marula Luxury Facial Oil has been on high rotate in my house of late, due its abilities as a marvellous multitasker and its general awesomeness. It’s actually a very straightforward beauty product, in that it contains just a single ingredient: Marula oil. Marula oil is an excellent ingredient for skin, and thanks to the aforementioned great packaging that keeps it stable, this product is a winner. High in critical antioxidants like tocopherol (vitamin E), tochotrienol, phenolic compounds and Omegas 6 and 9, it hydrates, preserves and nourishes your skin, while restoring that elusive, youthful plumpness. Straight from the “pip” of the marula fruit, the Virgin Marula Oil in the bottle is virtually untouched by any chemical or fragrance, natural or synthetic and remains in its purest form. When it comes to the feel of this product, the oil itself is lightweight enough that it can be applied directly to skin, absorbing within a couple of minutes. It is amazing for those with dry to very dry skin like mine, but if you have oily or combination skin with patches of dryness, this can be applied to those areas too. With regular use you will get a major glow, and in combination with Drunk Elephant cleansers, serums and sun protection, the brand says your skin will be “balanced and optimised to look and feel it's healthiest”. Amazing! I’ve been using my oil mostly in combination with Drunk Elephant’s Lala Retro Whipped Crème moisturiser (review to come) and thus far, most amazing. I can’t wait to try more of this range! 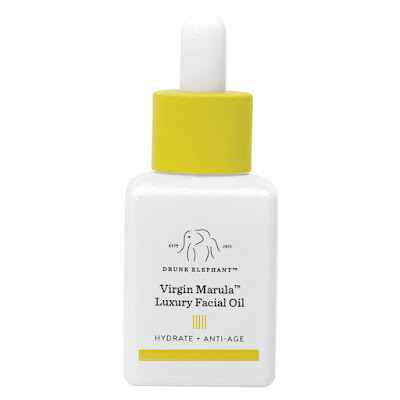 Drunk Elephant Virgin Marula Luxury Facial Oil retails for NZD $115 at Mecca, so I suggest you head in store or here to get a bottle ASAP. Fresh, new Australian natural skincare brand Mint Skin launched at the end of last year with a bang. After 12 months in development and product testing with over 200 Instagram users, they finally unveiled their first two creations after much conversation, and they are absolute winners. It was a unique and fresh approach for a beauty start up, and it paid off with major buzz around the clever skin fixes known as MUD. Mint Skin was developed to fulfil a need for simple, natural, skin products without the excessive price tag, and the company aims to deliver products that are “safe, non-toxic, highly effective and fun”. They believe every user is entitled to receive real results from their skincare products, and their ever-growing lineup of creations is cruelty free and locally made, tested on people, never animals. 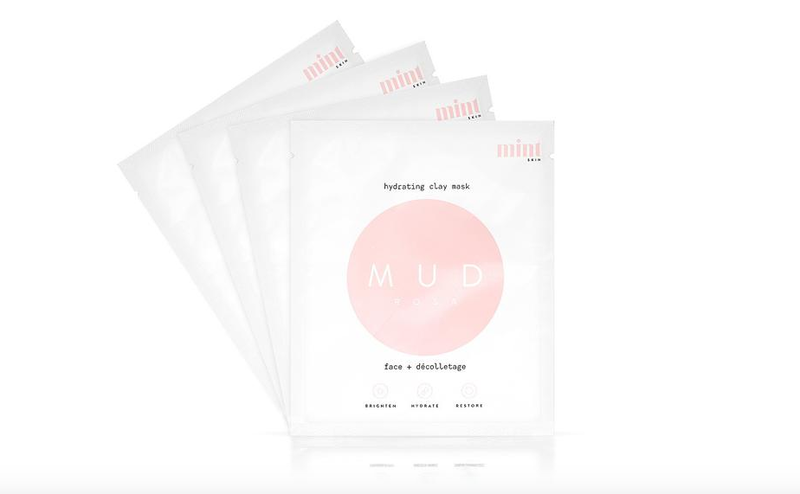 But let’s get back to Mint's aforementioned first product releases, the two varieties of mineral masks known as MUD. One can be used on the face and body for a powerful detox, treating blemishes, congestion and - yep, you heard that right - cellulite. The other can be used to hydrate and brighten the face and décolletage, and is the perfect pick me up after a few weeks’ of late nights and sometimes-poor choices! Both masks are formulated with natural, non-toxic ingredients, and come neatly packaged in single-use, no-mess sachets that keep things fresh and bacteria-free. Yay for that! The two options available thus far take the form of Rosa Hydration MUD and Detox MUD. If I had to pick one of the two masks I would have to err on the side of Rosa Hydration, which is what my skin has been crying out for. Basically a 15 minute facial in the privacy of your own home, it is perfect if your skin is feeling dull, dry and in need of some instant hydration and glow. Its all-Australian hero ingredients include kakadu plum, organic honey, macadamia oil and rose absolute to brighten and illuminate, and the super creamy, non-drying formula leaves you skin feeling clean, velvety, and rebalanced. Heavenly. 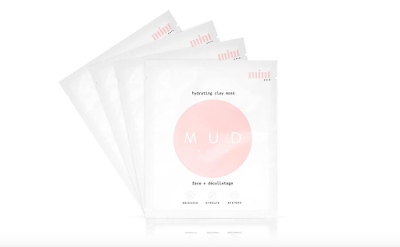 The second MUD, Detox is the best choice if you have congested, oily and acne-prone facial skin, or if you suffer from rashes and cellulite on the body. It uses a unique and powerful detoxifying mixture of organic Australian clay to refine blemish-prone skin and bring back that beautiful glow. It cleanses pores to leave them visibly smaller and your skin baby soft, and weekly use on oily skin will see a reduction in blackheads, acne and breakouts. Regular use on cellulite prone areas will see a reduction in bumpy skin and improved circulation, which gets two thumbs up from me. It’s a little more interactive than Rosa as it involves mixing with a liquid medium that’s in line with what your skin needs at the time. For a normal detox add just water, whilst for a stronger detox, add apple cider vinegar. For an extra gentle cleanse, mix with an all-natural liquid moisturiser or Jojoba oil. Amazing! Mint's eBoutique offers free shipping within Australia, and with new products in the pipeline is well worth bookmarking now. To find out more go here.